Android is a great platform where you can find hundreds of thousands of apps, games, utility products and so much more. Whether you want to have a global clock on your device, or want to have a level tester, or want to do simple things such as flip a coin or ignite a cigarette lighter, you can find every such app in the Android’s Google Play Store. And this is not it. There are other very useful utility apps such as Flipboard, Recipe Search, Google Drive, Expedia, Pocket and the like. These apps can be great if you are looking to get assistance in your day-to-day chores. One such app is Speed Gun by Smart Tools Co. which is a great way to measure the speed of any moving object be it a car, train, runners or just about anything else. Its simple operation ensures you can track the subjects easily and then measure their velocity. We will now explain to you how you can also use this app to measure the speed of any moving object. Click on the Play Store icon on your Android phone. It can be found in the Apps drawer or alternatively, if you have created a shortcut for it on one of the home screens. Make sure you are connected to a working internet connection. Using the search option of the Play Store, type Speed Gun in it and press enter. The Play Store will display a few search results. Click on the Speed Gun icon which also tells the name of the developer, Smart Tools Co. Play Store will then take you to the app's home page where you can see reviews, comments, downloads and ratings. Tap the Install button at the top right. Once it is downloaded, it will automatically install itself and will create a shortcut on the home screen. Press the icon to open the app. Using this app is really simple. Once it is opened, you will be able to see a tracking camera like interface with a green box in the centre. Put in the approximate distance of the subject you are going to track. This step is very important since otherwise the calculations will be wrong. Once you are done entering the distance, simple find the object in your viewfinder and click on the moving object. The app will then tell you its velocity on the top. That’s it. 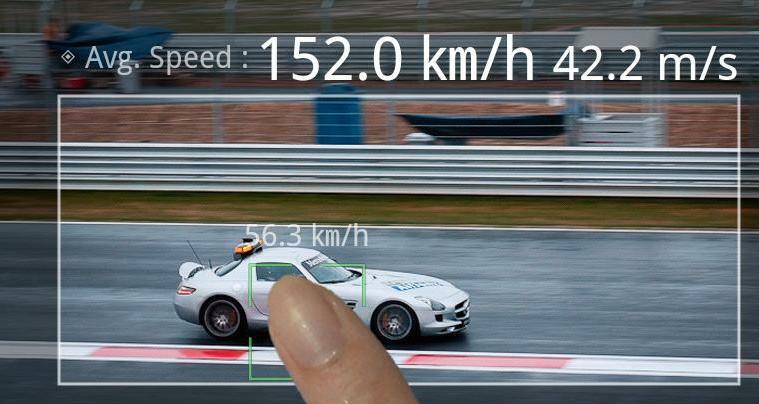 You now have your very own Speed Gun in your pocket all the time.